If you are on the vision of increasing workout efficiency and gaining quality lean muscle, then you must have some basic knowledge about your skeletal muscles which build shape, permit movement and protect your internal organs. 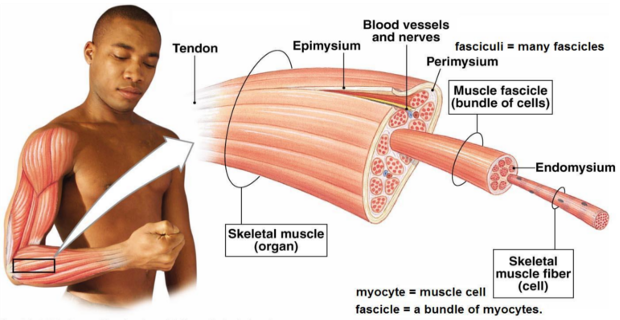 A basic contractive unit of any skeletal muscle is a muscle fiber – a big stretched (up to 7 inches) cell that has the shape of a prolonged cylinder with pointed edges sheathed in a thick band of connective tissue known as a perimysium. Muscle Fiber. Each muscle fiber is single cell with many nuclei and is striated with a light and dark banding. Myofibril. Muscle fibers are made of tiny cylindrical structures called myofibrils. Each myofibril is made of protein filaments called Myofilament. Myofilaments. Individual contractile proteins that make up the myofibril. There are two types of myofilaments: Actin (thin) and Myosin (thick). Sarcomere. Unit of alternating thick and thin filaments is called a sarcomere. They are separated by areas of dense matter called Z-lines. Current understanding of how muscles contract is based on the sliding filament model. Contracted muscle: Thick and thin filaments slide past each other until their ends almost touch. Z-lines end up closer to each other as each sarcomere shortens. Relaxed muscle: The ends of thick and thin filaments overlap slightly but do not touch. Z-lines are far apart. Muscle fibers can be classified in many different ways. Contraction or twitch time is the most common distinction between fast twitch muscle fibers and slow twitch muscle fibers. Type I muscle fibers, also known as “slow-twitch” muscle fibers are efficient at producing muscle contractions (twitch) for extended time periods.They are, however, very dense with capillaries and rich in mitochondria and myoglobin, which makes them very resistant to fatigue. Type II fibers, also known as “fast-twitch” muscle fibers, both a and x, have a much higher potential for growth and force output than Type I fibers, but they fatigue very quickly. They develop force quickly, but cannot sustain the force for long periods of time. Marathon runners and long distance cyclists have predominantly type I muscle fibers while Weight lifters and sprinters primarily have type II muscle fibers. 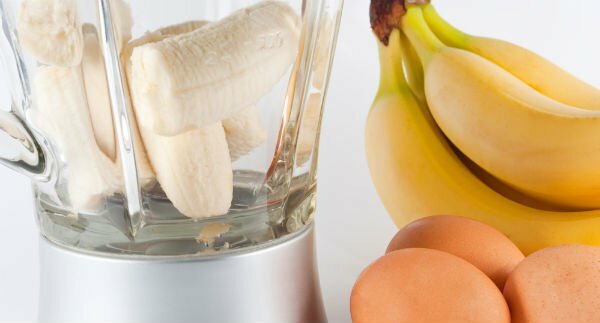 Now, we all have varying amounts of Type I and Type II fibers in our bodies, and the ratios are determined by how we use our muscles. 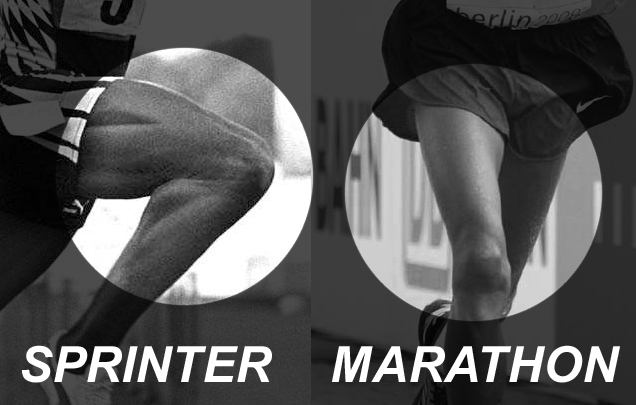 If we did a lot of long-distance running, we would develop more Type I fibers in our legs than Type II. If we did a lot of heavy squatting, we would develop more Type II fibers than Type I. 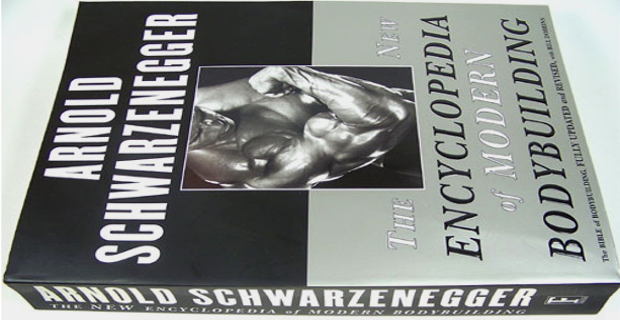 So as a bodybuilder or someone aiming to build muscle, which muscle fibres are most important? The answer is a combination of all 3, however, the greatest muscle hypertrophy comes when we train and preserve our Type IIb fibres. Don’t miss the next article of this series “Physiology of Muscle Growth [Muscle Hypertrophy]”, and how it’s affected by different types of training.